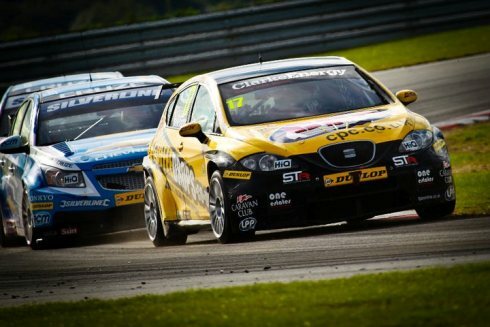 Dave Newsham scored a top ten finish in all three British Touring Car races at Snetterton, almost taking a podium spot in the last race of the day before falling back in the final laps. The Inverness-based driver spent much of the day in the lower end of the top ten. Having started from eighth for the first race, a bent suspension arm slowed him to tenth giving him a single point in the opening race. He was losing several seconds a lap in the final stages.